Material selection for gears is an important process because these are the components that are under stresses while working. Material selection is also important as it define the weight and cost of the product. So for the proper working and cost effectiveness of the product it is very important to select the best material through the material selection process. Material selection process for the gears and shaft consist of number of factors, no which the selected materials are evaluated and the best one is selected for the product. 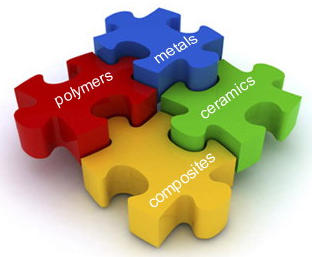 Followings are the factors which are involve in the material selection process. Yield strength of the selected material for the gears and shaft will define how that material will respond to the external forces or how much force or torque gear or shaft can take before failure. Ductility of the material selected for the gears and shafts will define deformation or failure type method of gears and shaft. A ductile material will undergo plastic deformation before permanent failure. Density of the material in the case of gears and shaft will define the final weight of the gear and shaft, with this it will define the weight of the product. Wear resistance in this case will define the use full life of the gear and shaft. Gear or shaft may not fail under the given load but they will wear out soon or later depends on the wear resistance of the material. Manufacturing aspects includes those properties which define the ease in manufacturing of a product through that material. Properties like machinability or cast-ability define how easy it is to manufacturing a product through that material. Material with good machinability will be easy to machine and will be the best recommendation for the manufacturing of gears through hobbing or milling. Economic aspects related to the material are its cost and availability. Both of these aspects are very important while considering the best material for the product as they define the final cost of the product. Cost of all the materials is international selected but the availability is something that must be evaluated because here availability means that material bust be easily available I the local market. Environmental aspects of any material means the damage or benefit it can cause to the environment with respect to any other material. Three very basic factors which decide the selection of one material over the other are its recyclability, CO2 foot prints and Embodied energy. Recyclability of the material will indicate that weather that material can be reused or not. With increasing awareness about the nature it has become very important to select a material that can use after the component useful life. CO2 foot print is the amount of CO2 associated with material selected for the gears and shaft. it the amount of CO2 material will release during its production or decomposition, so a good material should has low value of CO2 foot print. Embodied energy is the energy associated with material, energy used for it extraction, refining, production, transportation and decomposition.